Full of dark charm, this Dark Althea tapestry shows a Hibiscus flower, also known as an Althea in a dark background. Subtle details in the leaves, petals, and the dark background provide visual interest. There is a full bloom as well as unopened blooms reaching upwards. This unique tapestry makes use of the darker colors to provide a feeling of mystery and subtle sophistication. 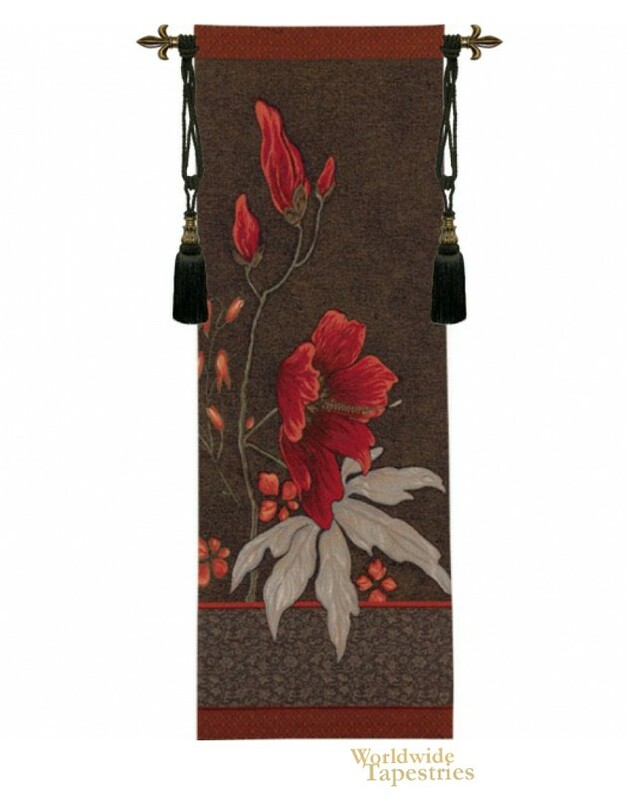 This Dark Althea tapestry is backed with lining and tunnel for easy hanging. Note: tapestry rod and tassels, where pictured, are purchased separately.